Before you can choose which hair products will give the most benefits to your hair you need to determine your hair type. Common hair types include dry hair, oily hair, curly hair, straight hair, and damaged hair and each one of these types needs its own formulas and ingredients. Because dry hair is lacking in natural moisture the best products will be those that promise hydrating benefits. A good dry hair product will lock moisture into the hair strands, boosts hair's softness and shine, and keep hair looking healthy without adding weight and build-up. For dry hair, look for products that have the words hydrating, moisturising, conditioning, or humectants in the description. Also look for active ingredients such as vitamin E, jojoba oil, or avocado oil, which will provide extra moisture and a thin layer of protection to the hair shaft. But remember, just because hair is dry you don't want to over oil it. Avoid products with heavy creams that can weigh down hair and keep the strands from breathing, or alcohol, which can make drying worse. If your hair is really dry and brittle you will also want to look for a good intensive conditioning product. These products are meant to be used once a week and provide deep hydrating and moisturising to the individual hair strands. If you do not want to take the time to deep condition, or if you don't like the feel of the product, you can also try a daily leave in conditioner. These spray or rub-in conditioners lightly hydrate the hair and work to lock the moisture in for up to 24 hours. Finally, if you have dry hair you will want to avoid using too many extra products. Hair products such as styling gel, mouse, and hair spray can further dry out the hair as they sit on the surface throughout the day. If you must use one of these products choose one that formulated for dry hair, one that is mild or natural, and one that doesn't contain alcohol or excessive oils. Oily hair can be difficult to take care of and many individuals mistakenly believe that if they wash their hair repeatedly it will eliminate the excess oil. However, the opposite is true. Over-washing strips the hair strands of their natural oil forcing the scalp to produce more lubricant. The best way to wash and condition oily hair is to start with a dry scalp shampoo, a mild shampoo, or a shampoo made for children. These products will be less likely to strip your hair of all its protective oil and will help reduce the amount of oil your scalp is forced to make. As for conditioner, if your hair is easily combed when wet it is best to skip this step every other washing. 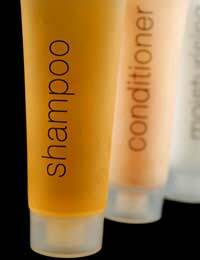 For the times when you do condition be sure to choose a product that is clear, non-creamy, or specially formulated for oily hair. And, never use a product containing nut oil, which can leave hair too slick to work with. As for styling products, you need to be careful with these selections too. Most styling crèmes, gels, and mousses add shine, which will just make your hair look even oilier. Plus, these products usually contain some kind of hydrating ingredients that actually make your oily hair worse. If you need additional hair products it is best to choose light or mild formulations, such as light hold hairspray, that don't build up on the hair strands. Buying a great product for curly hair can be somewhat difficult, especially if your curly locks are also prone to dryness or frizz. That is why the best products for curly hair are those that are formulated specifically for the hair type. To tame frizzyness and dryness all at once consider choosing a cream-based, moisturising shampoo and conditioner combo. The best ones will contain ingredients such as shea butter, almond oil, and wheat germ oil. These types of shampoos will contain more moisturising ingredients than regular shampoos and will help curls hold their shape. The conditioners will not weigh hair down like regular conditioners so you won't have to worry about flat, lifeless curls. Aside from daily conditioning with an oily hair type conditioner, you will also want to deep condition curly hair at least once a month. This practice will help eliminate hair strand dryness and keep curls looked defined and frizz-free. A couple of products that you will definitely need in order to properly take care of your curly hair are an anti-frizz agent and a styling agent. Anti-frizz products will help smooth out hair and keep curls more defined and shapely. Styling agents, such as gels, mousses, and hair sprays, will help hold curls and styles in place. When choosing these products look for ones formulated for oily hair, ones that do not contain heavy oils, light or mild versions of the products so hair won't become flat and weighed down. Straight hair also tends to be fine hair, so any products that add volume, body, or thickness are a good bet for this hair type. However, beware of products that contain heavy oils since these formulations can weigh down hair and make it look even more limp and lifeless. If you have straight, fine hair your best shampoo and conditioner picks are those that bind to the hair shaft to give a temporary boost in thickness and body. Pick products with panthenol as an active ingredient, which penetrates the hair cuticle and pumps up the thickness of fine hair, and the words volumising, body, and thickening on the label. For additional hair products individuals with straight hair will need a root lifter and a straightening balm. The root lifter is applied to the roots of the hair to provide instant lift and fullness. The straightening balm will hold the locks in place and prevent flyaways. Damaged or chemically treated hair is perhaps the hardest hair type to buy products for. This is because this hair type is usually dry, brittle, and prone to breakage and split-ends. Plus, the treated locks also need special formulations that protect hair colour or style. The best products for this hair type are ones that are specially formulated for dyed, highlighted, permed, or relaxed hair. These products will contain mild ingredients that won't harm the chemical set plus ingredients to moisturise, rejuvenate, and reconstruct damaged hair strands. Although the products will be a little heavier and contain more oil they will also work better to add a layer of protection to the weakened hair shaft. As for additional styling products, try not to over use hairsprays, gels, mousses, and balms which can build-up on hair and lead to strand breakage, if you must use these products choose ones with mild ingredients, avoid alcohol-containing products, and wash the product out as soon as possible.